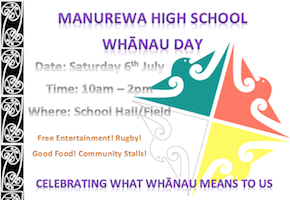 Saturday 6 July from 10am-2pm is Whanau Day at Manurewa High School. 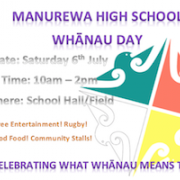 Whanau Day will be held on the school field and in the school hall, with live entertainment, rugby and food stalls. There will be exhibitions from community groups such as Rotary Club, Fire Brigade, and dog displays.